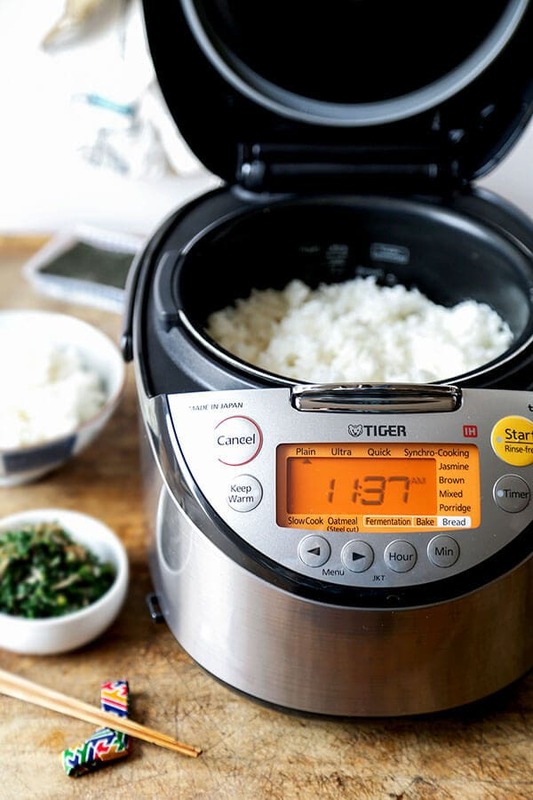 Learn how to make Japanese rice the stove top or rice cooker method so you can enjoy perfect, fluffy rice every time! 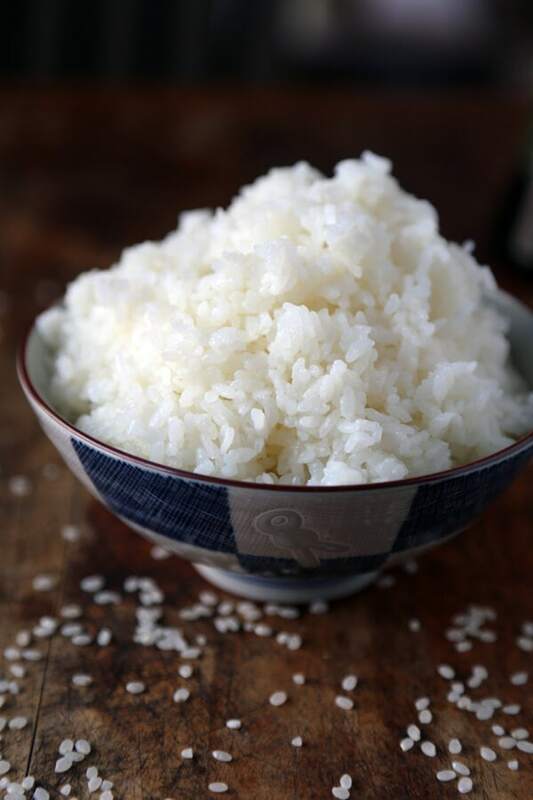 Japanese rice is essential to Japanese cooking. It’s used in various dishes, is served as a side and comes at the end of a meal in the form of soupy ochazuke or as part of a dessert. It’s also my all-time favorite type of rice. I love its fluffy, stickiness and delicate sweet-tasting flavor (just like that of cold nigori sake – yum!) Every week, we make a pot that we eat with stir fries, curries and savory porridges. Most households in Japan use rice cookers because they’re convenient and easy to use (I have this one), but you don’t necessarily need one to make good, fluffy rice. You can make yummy Japanese rice on your stove top as well and it’s very easy! Today, I’m going to show you how to cook Japanese rice both ways. Here are my favorite go to brands for Japanese rice: Nishiki, Matsuri, and Lundberg Farms California Sushi Rice (easy to find since it’s sold in most supermarkets). For every cup of rice you will need 1 ¼ cup water. Put rice in a strainer and rinse under cold water in swishing motion (this is to remove excess starch) for 1-2 minutes, until water runs clear. Alternatively, you can wash the rice in a bowl, drain and repeat the process 3-4 times. Fill the bowl with water and let the rice soak for 30 minutes. 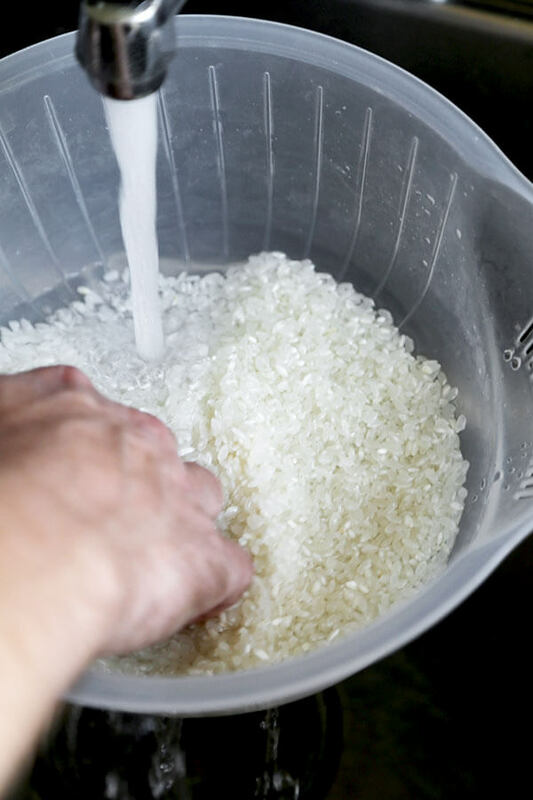 This step allows for the rice to absorb water and cook more evenly. I often skip this step as I tend to make rice at the last minute. Drain well and add to a pot along with water. Bring to a boil, lower the heat, cover and simmer for 18-20 minutes, until water is absorbed. Turn off the heat and let sit for about 10 minutes to finish the cooking process. Using a spoon or rice paddle, fold the cooked rice in big chunks from the bottom (do not stir or knead). 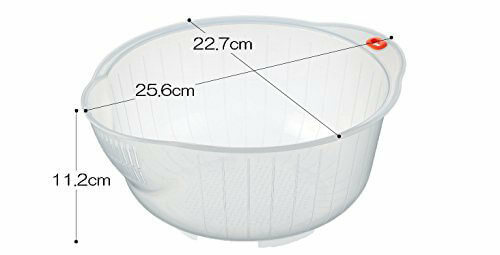 Always use the measuring cup provided with the rice cooker. Add rice to rice cooker along with water. Using a spoon or rice paddle, fold the cooked rice in big chunks from the bottom (do not stir or knead). Serve. NOTE: Japanese rice can be frozen in individual sized Tupperware and reheated to eat with pickles or spicy tuna, etc.. I also love serving Japanese rice with Thai dishes like this shredded chicken basil recipe. You can even make onigiri (rice balls) and freeze them for later. It’s a great time saving, pre-made food to have around! This is a list of items I use whenever I make rice and love to bits! Please note that I don’t endorse products I don’t own or haven’t tested. Inomata makes the best rice strainer for washing and rinsing grains and you can get it for less 6 dollars! Specifically designed for rinsing rice, the bottom holes are small enough to keep the rice from falling through and has a side strainer to drain any excess water. I use it for rice, farro and other grains. 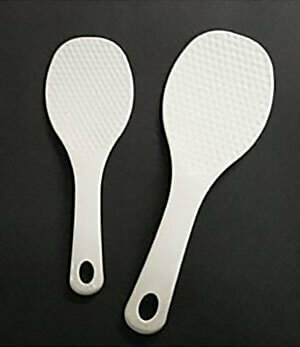 Most Japanese people use plastic rice paddles since most rice cookers come equipped with one. I’ve used both and prefer a plastic paddle over wood for the simple reason that the rice doesn’t stick as much and it’s easier to clean. 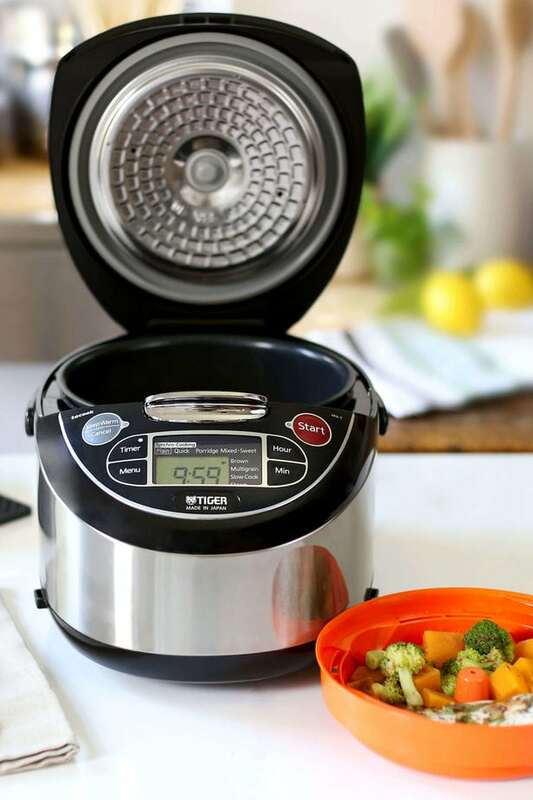 Nowadays, rice cookers are much more than just devices made to cook rice. They can also steam, slow cook, make porridge and come equipped with a rice paddle and a plastic tray that is placed on top of the rice so you can simultaneously steam food while your rice is cooking. 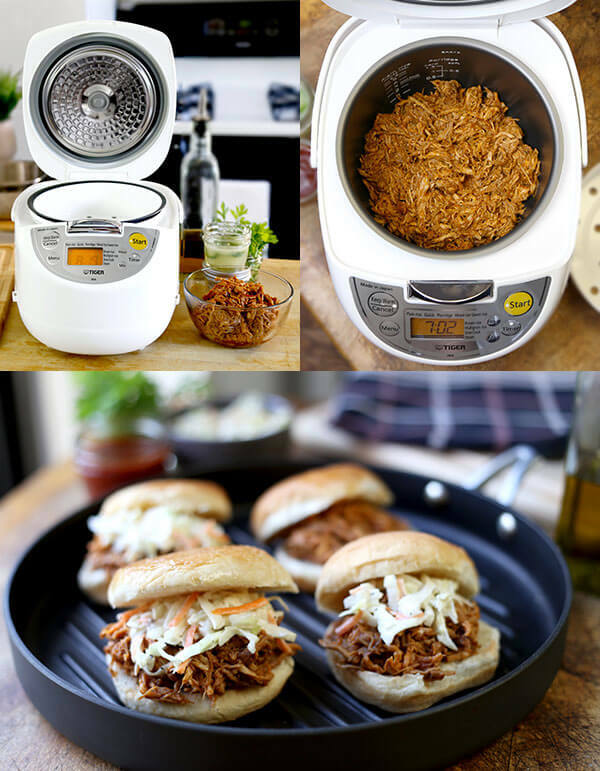 I often make soups and stews and even made a delicious pulled pork recipe that I served on buns! Uh? Yes, for freezing your rice in perfect portions! 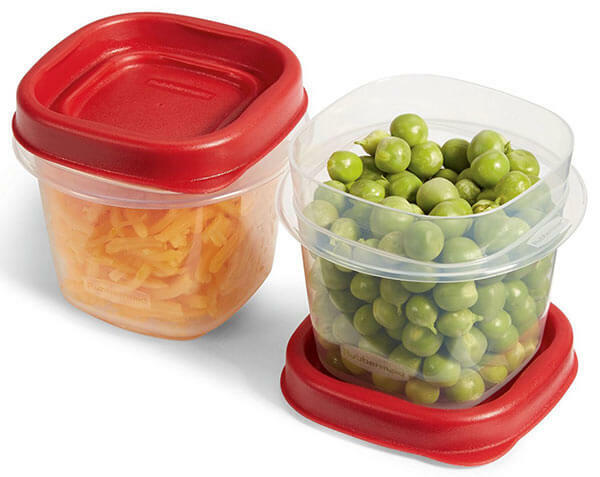 Get small tupperware containers big enough to fit one serving and freeze them stacked up. This way you don’t need to make rice every time you need a side of if for a stir fry or other dinner meal. Microwave for about one minute before eating. I had to mention this one for its convenience. It’s such a great idea for those who like bringing lunch to work. 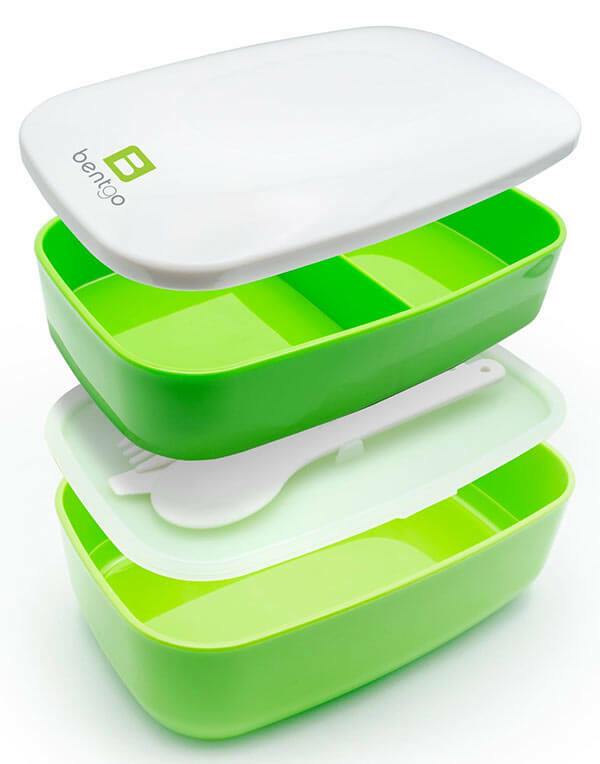 Ideal for bentos but also for any other types of lunches. I love how it all fits into a thermos shaped container making it easy to carry around. I love this product! Hi..two things……which kind of rice is best….also, you show Rubbermaid containers, but list them as Tupperware. I have both, and the Rubbermaid is way better…fyi…thanks! Haha thanks Nanci, I’ll change them to Rubbermaid then 🙂 I prefer the Nishiki brand which you can buy in Asian grocery stores or on Amazon.